Tiger Woods celebrates winning The Masters Tournament on Sunday. On today's Current Sports with Al Martin we discuss the Michigan State Football Spring Game and the alternate jerseys that were revealed to the public moments before the game on Saturday. Al and engineer Connor Matthes aren't too 'up-in-arms' about the jerseys and don't understand the dislike. Also, we discuss the biggest sports story from the weekend: Tiger Woods winning The Masters Tournament. 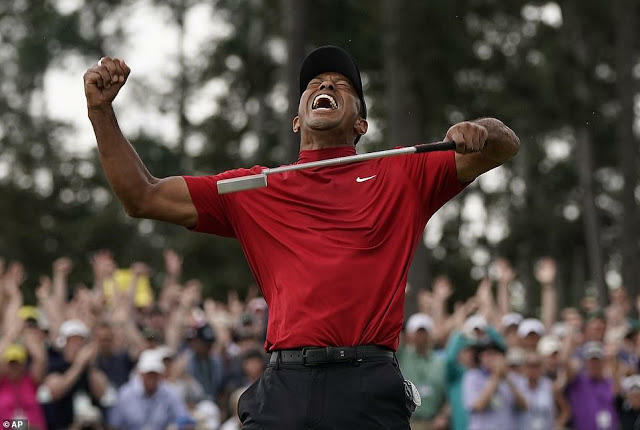 How did Woods pull off the biggest comeback in sports history and what does this win mean for the sport of golf moving forward?